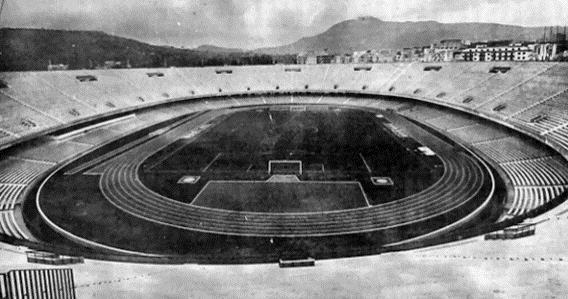 Stadio San Paolo was built to provide Napoli with a permanent home after their old home Stadio Partenopeo had been destroyed in the Second World War by air raids. In the post-War years, the club played at various temporary homes, but none to their satisfaction, and with the rapidly increasing fanbase of the club a larger stadium was needed. 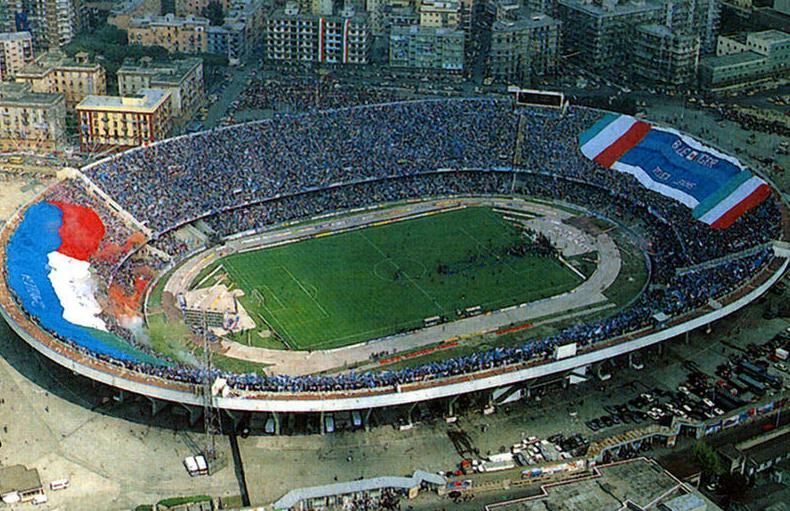 Stadio San Paolo officially opened on the 6th of December 1959 with a match between Napoli and Juventus (2-1). It was initially completely uncovered and could hold about 87,500 spectators, mostly standing. The stadium was modernised for the European Championships in 1980, during which it hosted three first round group matches and the match for third place between Czechoslovakia and Italy (1-1). 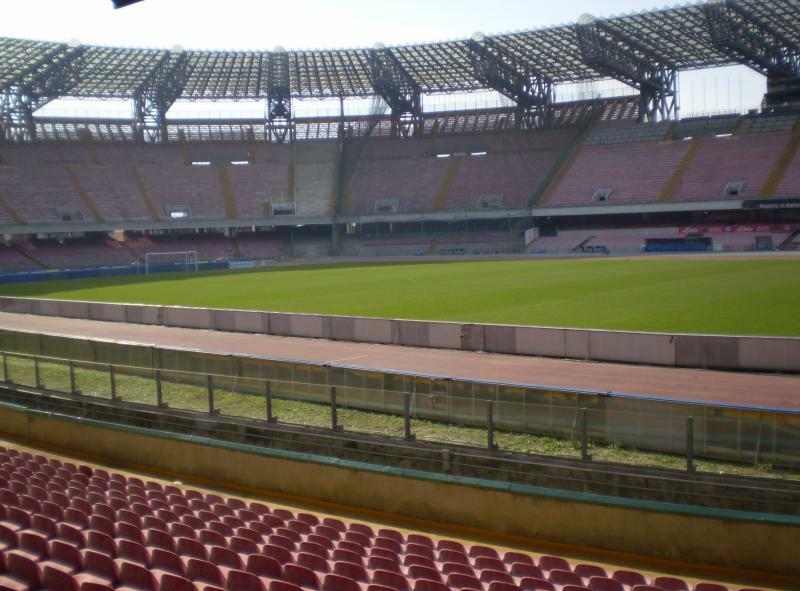 Stadio San Paolo was selected as one of the playing venues of the 1990 World Cup, and therefore underwent a major renovation. Works included the construction of a third tier and the installation of the roof. Due to the conversion of the stadium into an all-seater, capacity was reduced to about 76,000 seats. 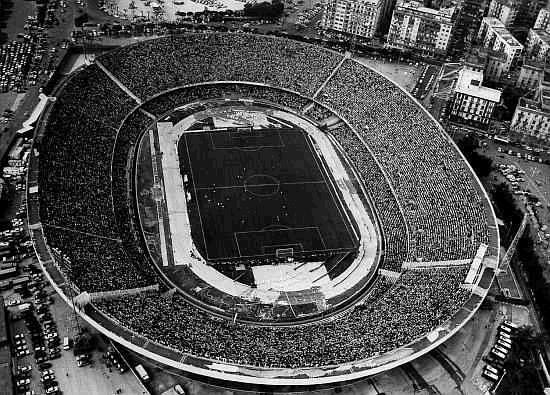 During the World Cup, Stadio San Paolo hosted two first round group matches, a round of 16 match, the quarter-final between England and Cameroon (3-2), and the semi-final between Argentina and Italy (1-1). After the World Cup, the stadium slowly decayed, and lack of maintenance even resulted in a temporary closure. Parts of the stadium were subsequently kept closed, hereby reducing capacity. In recent years and with the return of successes for the club, refurbishments have been performed that have kept the stadium eligible for European matches. 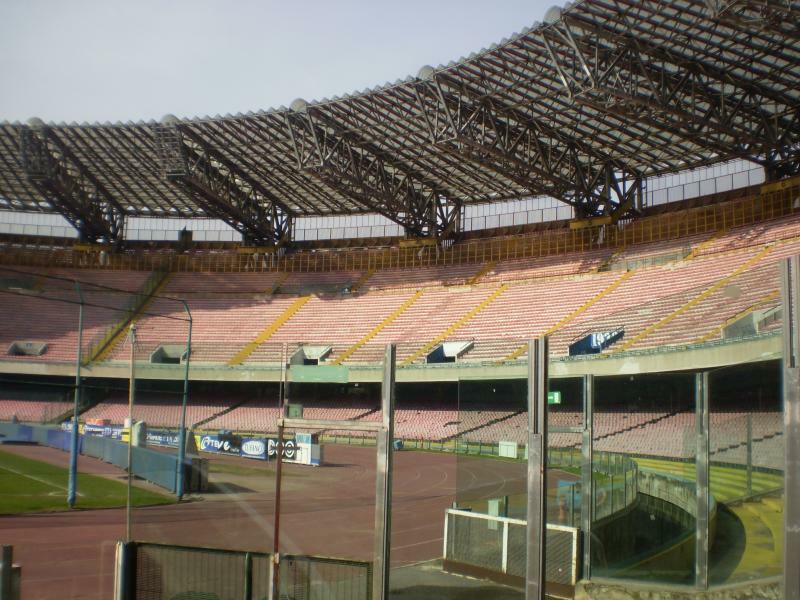 The state of the stadium, however, remains poor, and Napoli therefore have the ambition to either move to a new stadium or extensively redevelop Stadio San Paolo. Earlier plans have all failed, but the club have recently again started talks with the city of Napoli to come to a solution. Stadio San Paolo is located in the western suburb Fuorigrotta at slightly less than 7 kilometres from the city centre of Naples. Train station Napoli Campi Flegrei is a 5-minute walk from the stadium. There is service from Napoli Piazza Garibaldi station, which is located next to the larger central station where the long-distance trains arrive. The ride takes about half an hour. Slightly quicker is the metro. One can take line 2 from the central station and several points near the centre. Get off at stop Campi Flegrei station. The Mostra stop on line 6 is also at walking distance from the stadium. Mostra station can also be reached with the Ferrovia Cumana, a regional train service that follows the coastline. Trains run from the Monsanto station near the city centre. 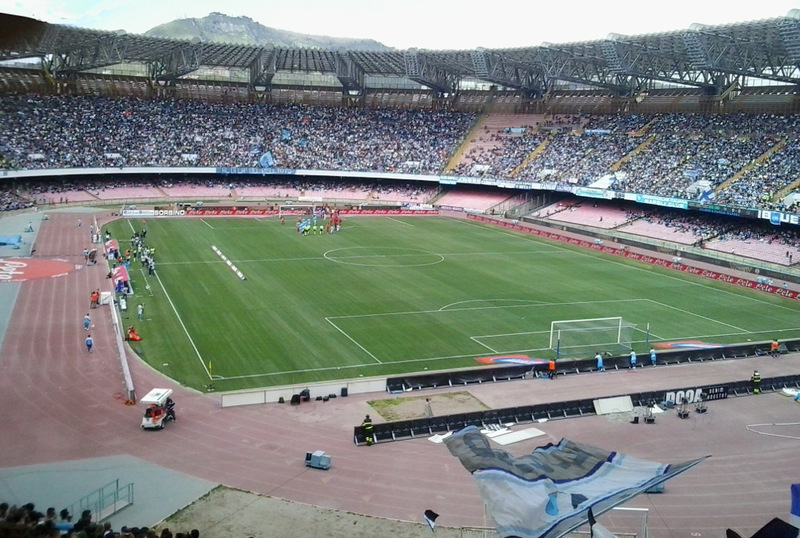 If arriving by car, Stadio San Paolo can be easily reached from the Tangenziale di Napoli, the main motorway running through Napoli. The stadium lies just a few hundred metres south of exit 10 Fuorigrotta. Stadio San Paolo is located in a dense and somewhat chaotic urban area with a good amount of local cafés and restaurants around. There is also a McDonalds right opposite the stadium. There are a few decent hotels a short walk away from Stadio San Paolo, which include Hotel Leopardi, Hotel Serius, and Hotel Cesare Augusto. 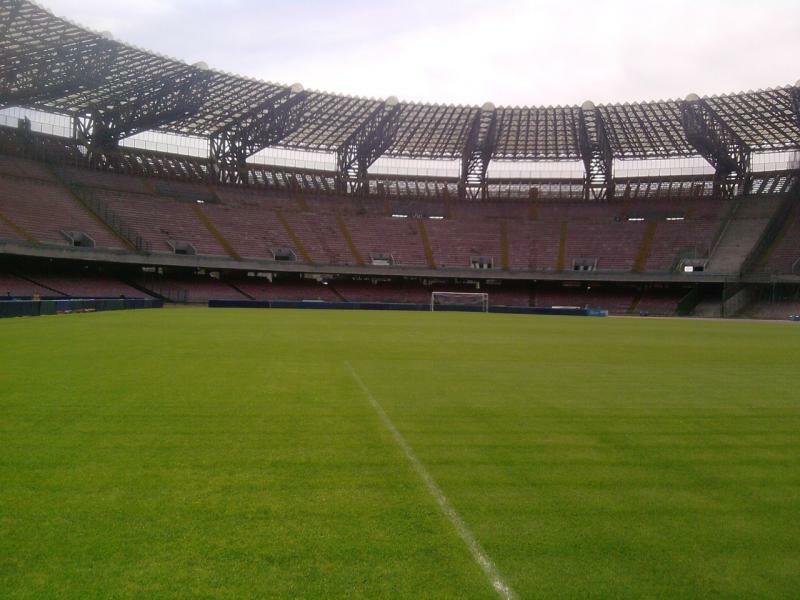 Click here to see all hotels near Stadio San Paolo. Alternatively, you can just as well stay in Naples’ city centre, from where there are good public transport connections to the stadium. Tickets can be bought online via Listicket, through any of the other authorised sales points, and generally at the ticket windows of Stadio San Paolo. Napoli may at times require possession of a fan card to be able to buy tickets. Ticket prices depend on the opponent. For a low-profile match, they can start as low as €10.00 for a seat at one of the curves, ranging up to €35.00 for a seat at the main stand. For a high-profile match, on the other hand, prices tend to start at €45.00 for the curves and range up to €90.00 for the main stand. SSCNapoli.it – Official website of SSC Napoli. Inaples.it – Official website of the Naples tourist board. Metro.na.it – Information on the Naples metro. Trenitalia.it – Train times and fares. I went to watch Napoli against Slovan Bratislava last December. I could not buy a ticket online so went to the official shop on the day of the match and bought one for 14 Euros. 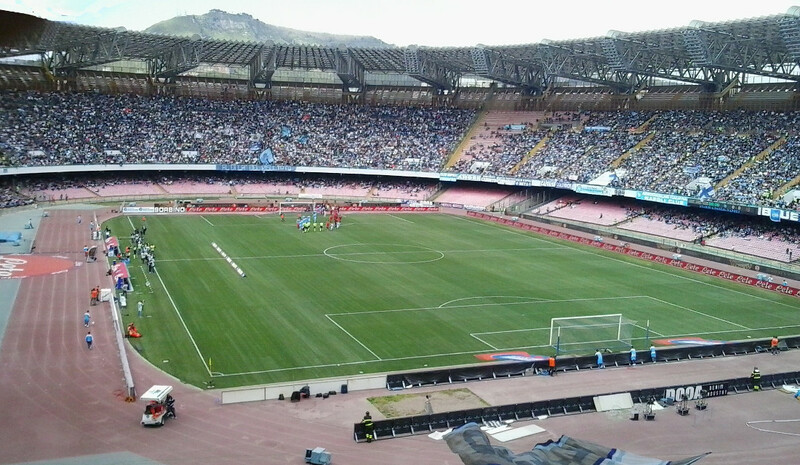 I went to San Paolo Stadium a good hour before kick-off but was told by fans that i can not sith within home section. I was suprised as i was a neutral supporter, but they probably thought i was from Slovan. I was relocated to sit with away fans. I should have checked and known that most passionate supporters use Curva A stand. Overall experince was not bad. Stadium is old but very big. Attendance was shocking(5000). Metro station was closed before game finished so coming back was not easy. I would not go there again.